Personal touches make an event truly special. No one understands this better than Jag’s Steak & Seafood’s experienced private dining professionals, who work with you to ensure every detail is perfect. We’ll transform your next event into a stylish, memorable and delicious experience for any occasion and groups of any size. Jag’s Steak & Seafood features eight exquisite private dining rooms, offering different setting, styles and choices to match your event. All private dining spaces were completely renovated in Fall 2017 and feature contemporary, yet timeless design with geometric patterns, luxurious textures and lighter colors for a beautifully elegant and modern experience. With options for three dinner packages, appetizers, receptions and lunch, our culinary team can create a menu crafted specifically for your event. Our culinary team can also create a custom, one-of-a-kind menu to ensure a perfect experience for your guests. 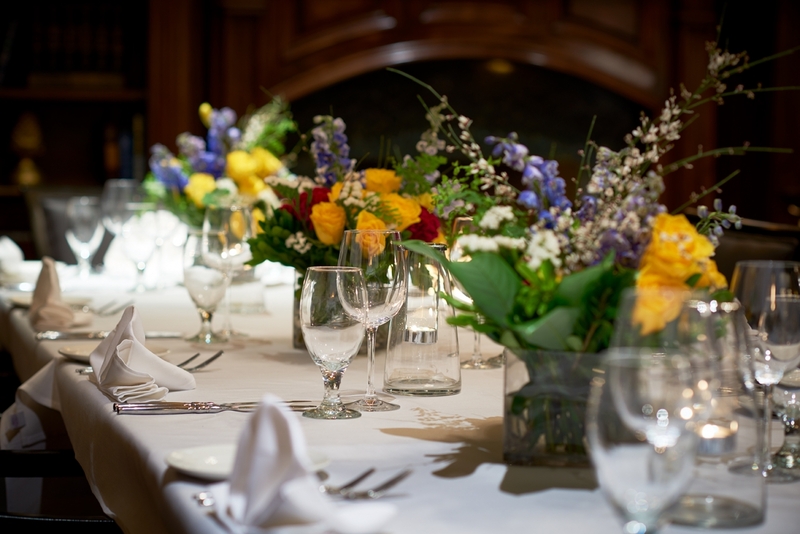 Our dedicated staff is available to help you plan and execute the perfect private event. Whether it's a cocktail party, corporate conference, family celebration, wedding, rehearsal dinner or business meeting, we make it a priority to ensure guest satisfaction. For more information and to start planning your private dining experience at Jag’s, click here or call (513) 860-5353 ext. 23.